Vehicle overloading … is it really worth it for your business? When transporting goods and stock, it may be tempting to load the vehicle a little more than usual in order to maximise the load and possibly reduce fuel costs, but this can be a costly mistake. We know that optimising productivity, reducing operational costs and improving profit is key for any business, but “Overloaded vehicles are estimated to be responsible for R400 million of unnecessary road damage per annum” according to a report from Loadtech. Just how harmful are those extra bags of cement really? The simple answer is that overloading and improper loading increases the chance of accidents. Even if a vehicle does not exceed the load limits, if it’s improperly loaded – especially if a portion of the maximum load of the truck is on just one axle – it can cause the truck to be off balance, which makes it more likely to roll over. This can also cause premature wear and tear on suspension components and tyres which could lead to increased and unscheduled maintenance and subsequent downtime – fatal to any fleet owner. Excess weight can cause your wheels to swell out and heat up, increasing the risk of a tyre bursting. Overloading could seriously compromise your ability to steer the vehicle properly and manoeuvre it around corners safely. You could do serious damage and lose control of the vehicle if you hit a pothole or other obstruction. Your suspension/ traction control will not be able to stick to highway speed limits. If the bulk of the weight carried is in the back of the vehicle, it may drag. An off-balance vehicle is very difficult to control. Goods should be distributed evenly, with about 60% of the total weight in front of the axle. Reduced effectiveness of your brakes. Fuel costs rise significantly when carrying excess weight. Insurance will not cover any damages caused due to an accident caused by overloading. According to Arrive Alive, owners should check for a sagging rear-end; premature brake wear, irregular tyre wear; and loose, unresponsive steering and suspension, all of which indicate overloading. If you are in doubt about your vehicle and the load it is able to carry – legally – why not contact our team and ask them about MiBusinessAssist? This service (amongst other benefits) offers vehicle specialists that can help you find the right vehicle solution for your business and they take care of the administration involved too. This service also offers fleet discounts and a wide range of vehicle accessories at great prices, including tracking devices, canopies and tyres. Lastly, remember that an overloaded commercial vehicle is just as dangerous as using a welder without protective eyewear. 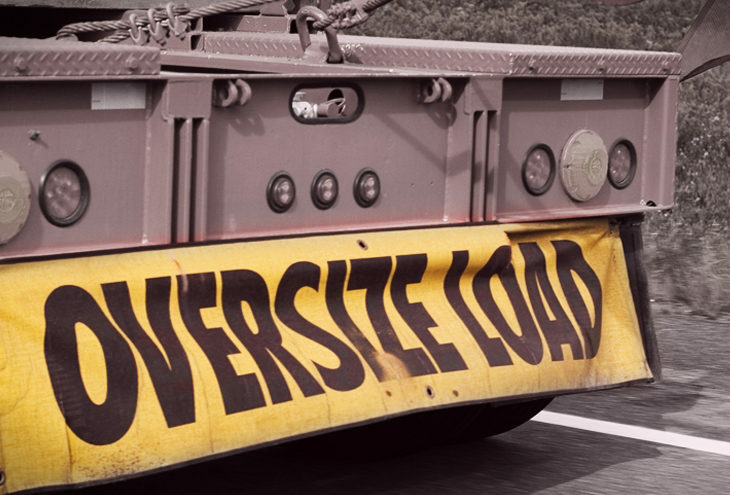 Overloading does not only cause strain on the vehicle’s components, but also causes excessive damage to roads and highways.